Imagine the terrain as a xsz * ysz grid of tiles where each tile is a subdivided in usub, vsub smaller parts. Each grid point can have an “arbitrary” height (we ‘ll see later how we calculate it) that cannot exceed the maximum height: max_height. The number of tiles in each terrain axis is xtiles for the x-axis and ytiles for the y-axis (that is practically the z-axis of out 3-D space). The variables tile_usub and tile_vsub show the number of subdivisions of each tile. Note that in general, I use the u, v notation in normalized spaces and the x, y for the world space. The variables num_octaves and noise_freq and the coarse_heightmap image are used to calculate the heights in different terrain points and will be explained later. We ‘ve already seen that the terrain is a grid of xsz * ysz with xtiles * ytiles tiles, that are subdivided by tile_usub in the x-axis and by tile_vsub in the z-axis. In order to generate a height at every point of this grid, I needed to calculate uniformly distributed random values, like those of Perlin Noise (PN). 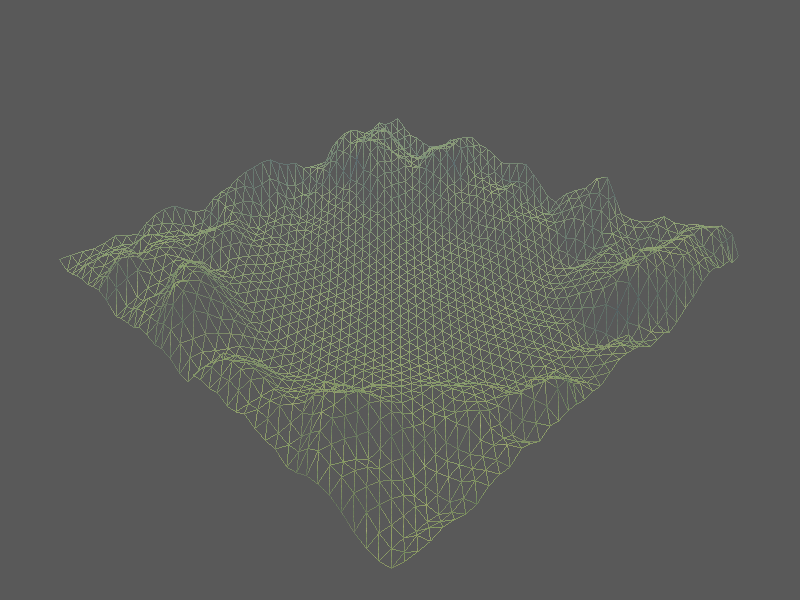 But I also needed some higher distortions for “mountains” and “hills” here and there that cannot be simulated with PN. For them I used a function that calculates the sum of some Perlin Noise frequencies and results to a fractal-like heightfield. The number of the PN sum octaves and the frequency (num_octaves, noise_freq) can be customized depending on how much distortion we want. Since the heightmap is black at the center (=> the itensity values there are close to 0) the height in the middle will be low and the terrain will look flat, whereas at the edges, where the intensity takes its maximum values, the height values will have a value close to their original height. If you get a more careful look at Image 1 and Image 2 you will understand better the relationship between the terrain heights and the mask intensities. Note that the function performs the calculations in u-v space. I found it convenient to write a similar function for the world space to use it in other places. The coarse_heightmap image (Image 2) has a very low resolution of 128x128 which means that if we just lookup the closest pixel value for each terrain point, and the terrain is big, many terrain points will map to the same pixel and we’ll start seeing aliasing. To avoid this artifact, I used bilinear interpolation among the pixel’s neighboring pixels by taking into account the distance of the terrain point from each pixel of the neighborhood. 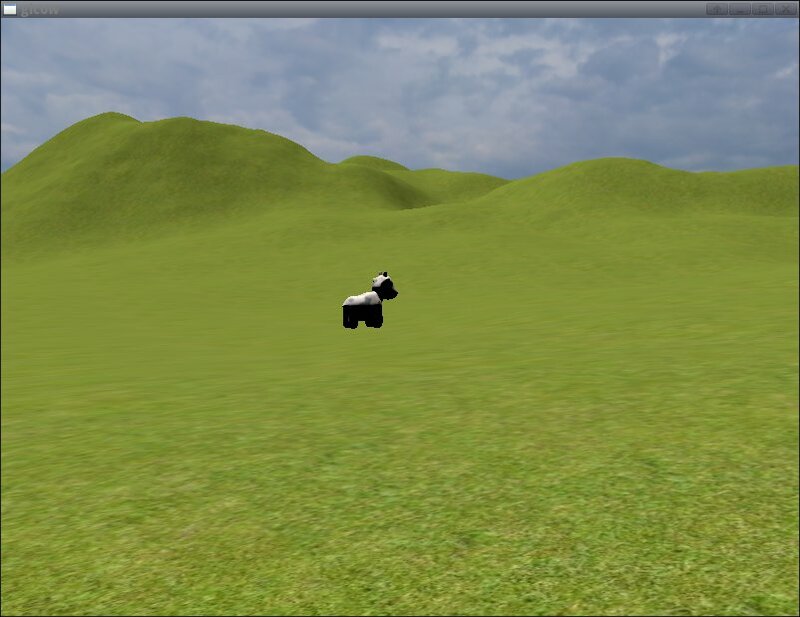 (taken by the glFog OpenGL manpage). I hard-coded the density to a value that looked good and I used the -pos.z as the distance where pos is the vertex position in the View space. View Frustrum Culling: The idea is that we only draw the terrain tiles that are visible (part of the view frustrum). Tessellation shaders: use TC, TE shaders to improve the terrain tesselation. Some of the above TODOs are in progress, some are still in my wishlist but all of them all TL;DR to be analyzed in this post anyway.